Very nice - we used to live in Walsham-le- Willows! Beautiful car in a very evocative setting. 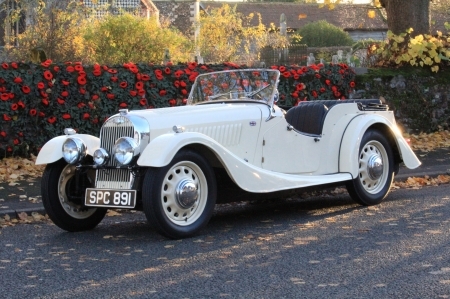 I have a friend with a pre-war Morgan that looks very similar - also in white. Although his is not kept looking quite so pristine! 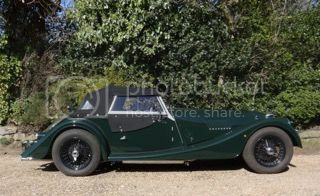 I love how the front wheels are ahead of the rest of the car - it gives it added vintage flavour. I may have driven that one if it was ever at Richard Thorne's. My birth year. I know you wanted to get to the torchlight procession in Felixstowe but couldn't. Here is a video of the event. Janice & I are in there carrying torches but we are not easy to spot.